Our product offerings include clocks, calendars, thermometers, ergonomic solutions and other consumer products. All products are made by people who are legally blind at our on-site manufacturing plant in Chicago. The Chicago Lighthouse has been a leading manufacturer of precision wall clocks for over 38 years. We offer a wide selection of sizes, styles and movements to meet your needs. We also offer custom clocks. Our dated wall calendars come in monthly, three-month and yearly selections. 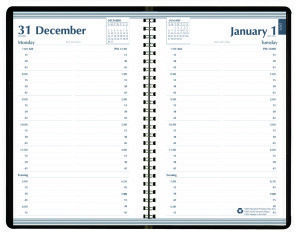 We also carry undated, reversible wall calendars for dry erase marker use. 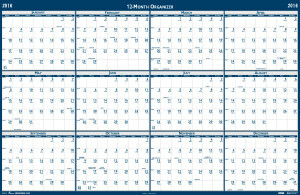 All dry erase calendars include a marker and hanger. Paper is 100 percent recycled with 50 percent post-consumer content, printed with soy inks. Federal sale only. We offer daily, weekly and monthly appointment planner books featuring 100 percent post-consumer recycled paper materials and soy inks. Covers are made from simulated black leather using 50 percent post-consumer recycled content. Federal sale only. 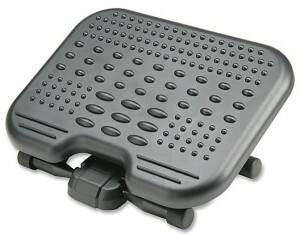 We partner with Kensington to offer ergonomic footrests and monitor arms. These products are designed to help you work comfortably at your workstation, reducing the potential for backaches, neck strain, eye strain and a host of other repetitive stress injuries. Federal sale only. Chicago Lighthouse Industries products for federal sale only can be found online at GSA and AbilityOne, and at military base supply stores across the United States. See our work in action. Schedule a visit to our Chicago Lighthouse Industries manufacturing facility by contacting Dominic Calabrese at (312) 997-3662.